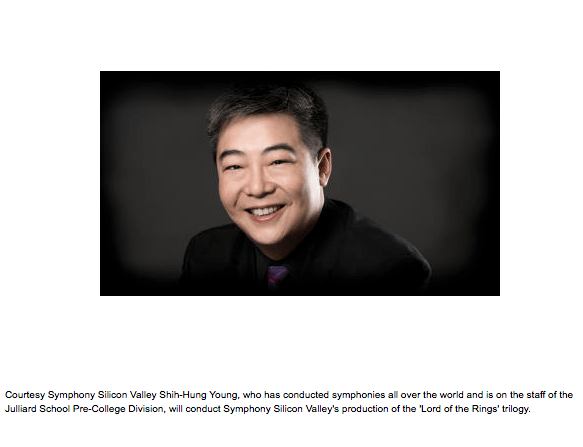 I hope symphony doesn’t mind that I’m “borrowing” their photo. I’ll post this, but I’ll also go ask them! In any case, I now see who our conductor is: I didn’t have a name before! I spotted the photo first on the Mercury News article.